Twenty three people were killed and over 60 others injured in a stampede at Rajghat bridge between Varanasi and Chandauli. 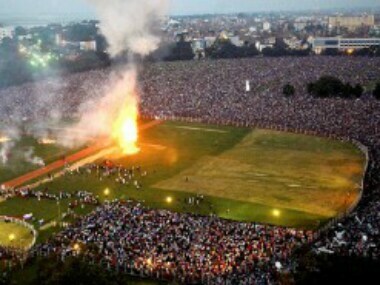 People had gathered in large number for a religious event on Saturday afternoon. The incident took place when thousands of followers of religious leader Jai Gurudev were on their way to Domri village on the banks of Ganga to take part in the two-day camp, police said. 5 May: Seven people were killed and around 90 others injured when heavy rains accompanied by lightning and squall flattened and uprooted makeshift tents of pilgrims in and around the site of Simhastha Kumbh Mela. The Simhastha Kumbh Mela takes place once every twelve years and attracts millions of devotees. 10 April: A massive fire swept through a temple in Kerala, killing more than 100 people and injuring at least 280 after thousands gathered to watch a fireworks display. 14 July: A stampede on the banks of Godavari in Andhra Pradesh crushed 27 pilgrims to death and injured dozens as they had gathered to take a dip in the river at the beginning of the Maha Pushkaralu festival. 18 January: At least 18 people were killed and over 40 injured in a stampede in Mumbai when a large crowd gathered to pay their last respects to a Bohra Muslim spiritual leader Syedna Mohammed Burhanuddin went out of control. 3 October: Around 32 people were killed in a stampede at a popular Hindu festival in eastern India after panic erupts following rumours of an electrical fire. 10 February: At least 36 people were trampled to death as pilgrims headed home from the Kumbh Mela religious festival on the banks of the river Ganges. 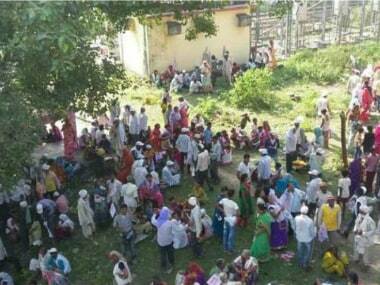 13 October: A stampede near a temple killed around 115 in Madhya Pradesh, where up to 4,00,000 devotees had gathered. Twenty-one people, including all 17 police from a local station, were suspended after the tragedy. Ratangarh town where the disaster occurred was the scene of a similar stampede seven years ago when 50 people were crushed to death. 19 November: Eighteen women and children were crushed to death in a stampede when a rope bridge collapses at a Hindu festival of Dussehra in Bihar's Patna. 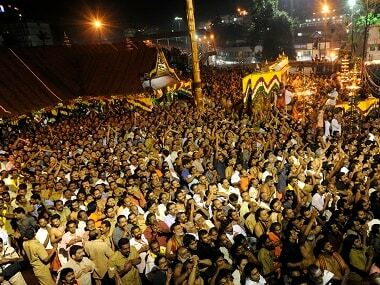 14 January: Around 102 Hindu devotees were killed in a stampede which broke out when thousands of pilgrims made their way home after an annual pilgrimage in Kerala state. 8 November: Sixteen people, including 14 women, died in a stampede at a religious ceremony near the holy Hindu city of Haridwar. 4 March: Sixty-three people, mostly women and children, were killed in a stampede at a temple where free clothes are being doled out in Uttar Pradesh. 3 August: About 150 Hindu worshippers were killed in a temple stampede sparked by rumours of a landslide in northern Himachal Pradesh. 30 September: Some 224 pilgrims died in a stampede when worshippers rush to reach a hilltop temple in the northern city of Jodhpur.